Ebony and Maple construction with extension and white ferrule. • The industry standard jump cue design. • Beautiful dark Ebony handle. • Large 14mm tip size for superb jump ability. • Standard white ferrule with separate changeable tip. • Complete with small extension for long distance accuracy. • An effortless cue to jump with, requires only a little practice. The handle is made from Ebony, a very dark and mysterious wood, both heavy and hard, and prized as one of the finest quality woods in the world. 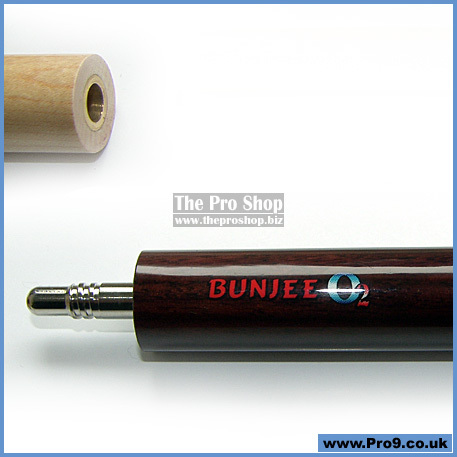 The shaft is made from every cue makers favourite, the hard rock white maple preferred for all American style pool cue shafts for the superb qualities perfectly attuned to the requirements for pool cues around the world.